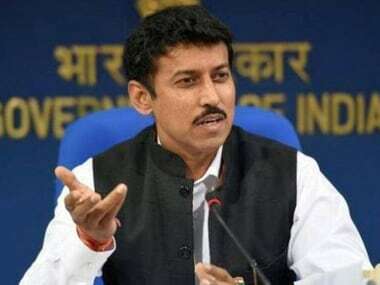 New Delhi: Sports minister Rajyavardhan Singh Rathore on Friday asked the Indian athletes and officials, who are part of the Asian Games contingent, to behave responsibly on and off the field during the mega sporting event starting next week in Indonesia. 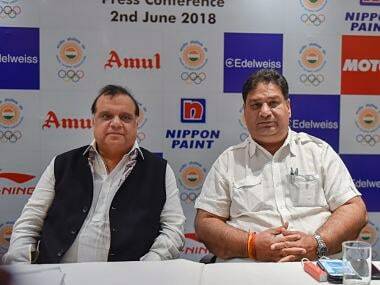 "It is a matter of great pride you (athletes) are representing the country in the Games and you have earned this privilege. 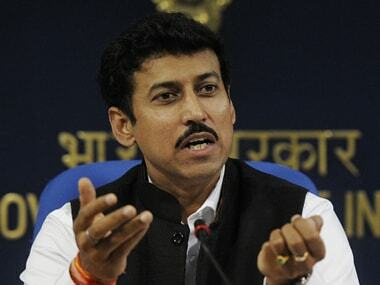 When you take part in the Games and when you stay in the Games Village, you will lose your individual identity and your identity there is just one name that is 'India'," Rathore said at the send-off ceremony of the Indian contingent organised by the Indian Olympic Association. A few of the country's top athletes, including hockey stalwart Sardar Singh, turned up at the ceremony. The four deputy Chefs de Mission, including RK Sacheti, were also introduced to the gathering.